Please note the dark shadowy edges on the picture. That gives these a more classic feel. I used some scrap pieces of PUL I had left over from making diapers for human babies then the inside layer is a poly blend that I felt a maxi pad would stick to. I now know that the way these work is the owner sticks a pad on the inside then wraps the diaper up around the dog's torso, making sure to catch his bits as she wraps. If he dribbles a bit, the pad catches it. Now, this looks like it is a rectangle but it actually bows out a bit which adds some extra room for the pad so that it doesn't smash the dog's bits. The edges are sewn with fold over elastic then I used super strength diaper hook-and-loop tape along the edges. 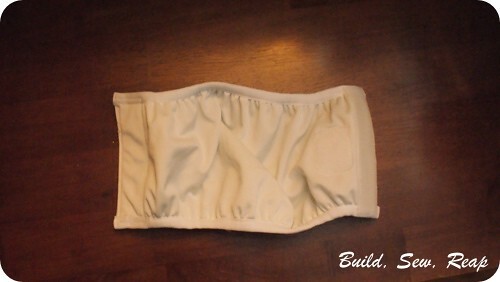 Please feel free to ask if you have any questions about making boy dog diapers. I can provide measurements if requested. Wonderful post. 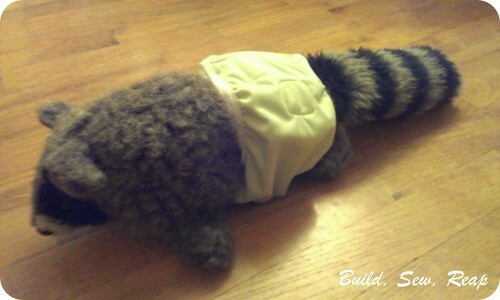 We also prepare diapers for your adorable pup. 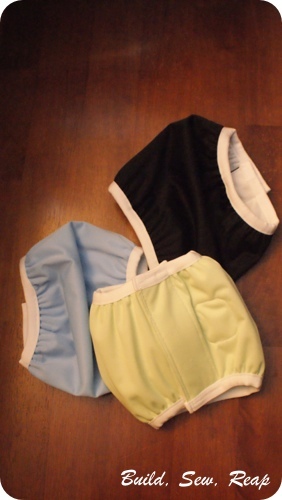 Our dog diapers are comfortable to wear and we provide it with the lowest expense. It will help you to keep your pup and home clean.